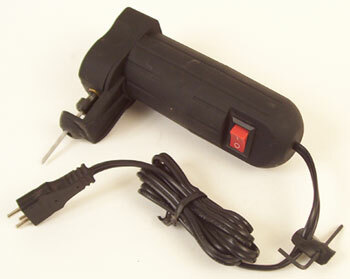 The Caning Shop's Gourd Sander is built with the same powerful motor as our Gourd Saw. A precise, lightweight orbital sander coupled with our unique hook and loop sanding sponges, easily finishes the contours of your gourd, even in the hard to reach neck area. Our thinner sanding sponges transmit all the sanding action to the gourd surface, unlike tools with thick sponges that absorb the orbital action. This means less wear and tear on your wrist and arm. Because the Gourd Sander is 15V-olt, you can wet sand with our long-lasting Abralon sanding sponges and not have to worry about getting a shock. 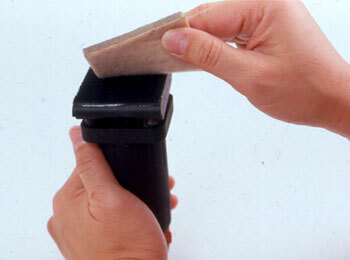 Wet sanding is preferable because it keeps the sanding surface clearner so that the grit lasts longer. It also keeps the dust out of the air. 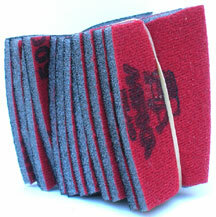 It comes with 6 long-lasting Abralon sanding sponge pads: 2 each 180 grit, 2 each 500 grit, and 2 each 1000 grit equivalent. Why would you want to sand your gourd? The shell of the gourd is a virtually waterproof surface. Any finish or dye that is applied to the shell will just sit on the surface. By sanding the shell, with a 180 grit sanding sponge, you break through the waterproof surface without scratching the shell. Following up with a 500 grit and then 1000 grit, you provide an almost polished surface, but now permeable. Buff the surface, after sanding with the 1000 grit, for an increased shine. The sanded and polished surface will amaze you. While the shell of an unsanded gourd is lovely, it is flat. The sanded and polished surface has depth and beauty that you would imagine only a fine piece of hardwood could have. You will discover an unimaginable appeal from your effort. Any dye applied to the surface will be absorbed by the skin. The result is a richer dyed surface that is less prone to fade because the pigment is now inside the shell rather than sitting on the surface. Allow the dye to set overnight and when you return to your studio in the morning and pick up the gourd, the dye will stay on the gourd and not come off on your hands. A light buffing now will bring out the shine. Add a little neutral Angelus show wax and you’ll have a beautiful specimen. A word about the Abralon Sanding Sponges. The actual size of the plate on the Gourd Sander is 2” x 2.5.” Your sanding sponges have been cut from a 12” disk (it’s the only way we can purchase them). Rather than making neat 2”x2.5” rectangles and throwing away the scrap, we’ve cut your sponges oversize and given you the extra material. Since with most of your gourd sanding will be on a contour, we feel you’ll make good use of the extra material. Be sure to use these pads wet and rinse them out when you’re finished. They are very high quality and will last a very long time. 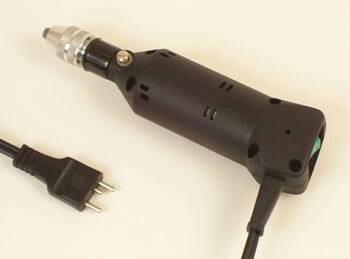 The Gourd Sander is a 15-volt tool and requires a transformer (power supply). Please note: THE SANDER WILL NOT RUN WITHOUT A POWER SUPPLY. 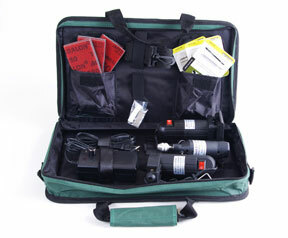 We recommend our #70029 Variable Speed Gourd Power Supply for $39.95. We also carry adapter cords if you already have a Proxxon (#70012 $4.95), Minicraft (#70003 $4.95) or Monster (#70012 $4.95) power supply (transformer).